Reflections… Like this photo I just took of myself, these blogs are usually my reflections of my time spent since the last blog. My cup of confidence is pretty full after my open mic at Apotheca this week. It was my one year anniversary of my very first open mic. I took some time to look back at all of the performing I had done since that day. I believe that one, positive experience opened doors and pushed me forward and I am very happy for it. The open mic this week was stellar, it was outside under the stars and there were some great open mic friends there and I read my poem “The Noise is White” which is now posted in my POETRY section and I sung two of my new songs, “Fire and Gasoline” and “I’m Sorry” which are now posted in my MUSIC section, but it was the awesome friendliness and caring of the people that go there that always fills me up! There are a few photos of the open mic in the HOME section. I also sold some of my product this month from my Society 6 page and for the first time ever, I made money on selling my art! I have been considering attending an art show, I was hoping to find another artist to “go with” just in case my courage cup got leaky. A link to my Society 6 page is on my Merchandise page. I also have a new instrument, I purchased a bodrhan at an antique store, I got a great deal on it, so I am hoping I will learn to play it because 50/90 is almost here!! (write 50 songs in 90 days). 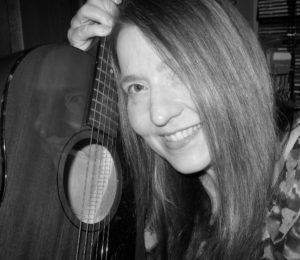 I thank you if you are visiting my site, listening to my music or seeing my art or are just giving me a moment, it matters, it matters so much to me. I am thrilled to have lasted this long! With good thoughts, I am forging ahead with a bit more confidence! I have added some of my photos to a site called Society6 where you can purchase product with my photos printed on it! I have added the link to my “Merchandise” page, so check it out! I am also over the moon after a wonderfully musical week! 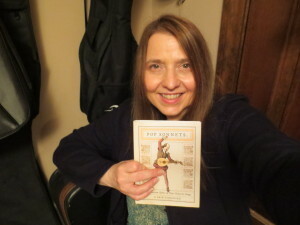 I wrote and performed a sonnet at Apotheca for the Shakespeare challenge and won this wonderful “Pop Sonnets” book (written by a fellow FAWMer!). I also was asked to sing with a musician that I adore when I went to see her sing at a local restaurant this weekend. I got to harmonize on one song with her and it was such a new experience and I am so happy for the opportunity and her trust she had in me!! Last month, I was happy to meet the illustrator for the children’s book I am working on for my poem “Fairytale Garden”! We seem to be on the same page and equally excited! The next step for me is to visit publishers and eventually have a kickstarter, so…stay tuned! Lots of good news, filled with exciting opportunities that are keeping me busy, but now that spring has kissed my garden, the beauty has erupted and I can’t help but wander out and watch the flowers grow! I hope you don’t let spring get away from you, because the smell, color and hope of the spring should never be missed!! VERSION THREE of tammyjann.com, how long will it last? My site has been hacked twice, welcome to the third rising and hope that it lasts, sigh. 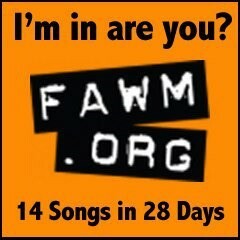 I have just finished FAWM, I wrote 14 songs in 28 days and am very happy about it! Three of these songs can be found in my Music page. I love the challenge, I love the friends! I now have songs with my new cowbell and as you can see in the picture, I was up all night recording and being crazy and tired! I hope I can get out more for open mics now that FAWM is over and the big holidays have passed, my Schedule page is where I list where and when I am performing. 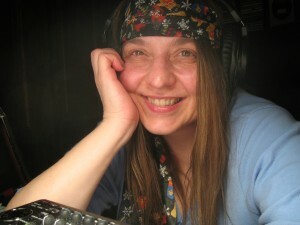 If this is your first time visiting, WELCOME and if you have been to one of the other doomed websites of mine, then thank you for coming back to check on me and here is hoping we can figure out how to keep this site up because I love it here, this is where my heart is on display and I love sharing my creations! © Tammy Jann and tammyjann.com, 2016. Unauthorized use and/or duplication of this material without express and written permission from this site’s author and/or owner is strictly prohibited. Excerpts and links may be used, provided that full and clear credit is given to Tammy Jann and tammyjann.com with appropriate and specific direction to the original content.